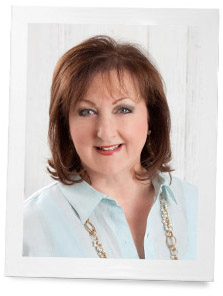 This post is part of the Southern Lady Magazine’s “Gracious Living in the New Year” web series. When we were designing our new home for the remodel, Neal and I planned one large room to serve as the living room, dining room and piano room with the kitchen opening right into the family room. It’s one room for all. I know all of you have noticed the same thing I have, people love to gather in the kitchen. So why not connect it all? We challenged our architect to create a family room that would be perfect for everyone to gather around! The first thing that I wanted was my cook top to be in the island so that I could face the family room. I don’t know what it is about people wanting to watch people cook, but it is fun to do! I find myself doing the same, so putting my cooktop in the island was the answer. Family rooms are the traditional gathering room for events. Many houses today have done away with a living room and have only one room. We decided on that too. When I was growing up, we had a living room plus the den. When we women wanted to retreat from the sports shows on TV, we would retreat to the living room and take our needlework with us. It was a wonderful room, and had comfy sofas and chairs. I marveled as I watched Downton Abbey at the rooms that were designed for men only and women only. And to think, they didn’t even have a TV from which to escape! Conversation was the order of the day and should be today. The only problem with the two rooms of my childhood and the rooms of Downton Abbey were that they separated everyone. Neal and I wanted to focus on a mutual gathering place where we could make as many memories together as possible. Every family has ways of celebrating gatherings. The important thing is to be together. I love it when my family is all together. We always bring up old times and fun times growing up. I love it when our grandchildren enter into the conversations about their school friends and pets. These are the memories that make a house a home. 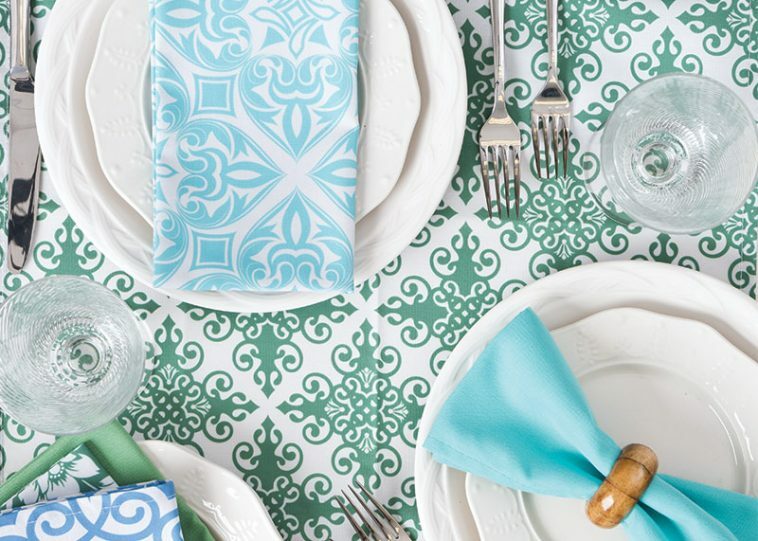 Celebrate your family and gather for a fun time… be sure and serve your favorite dessert! This open plan living is very Australian. Separate areas for living and dining are usually only seen here in much older homes. We love our open plans. I agree with Marie, I don’t like to have all the kitchen mess in view. The other challenge I’ve had with the great room concept is cooking smells; it all smells wonderful while it’s cooking, but later it’s not always so great. I recall my Aunt’s home, the kitchen was attached to the formal dining room but there was a pocket door that could be closed while we ate. There was also a roomy eating area in the kitchen for breakfast & lunch. Best of both from my perspective. I read recently about homes in France, the kitchen is often completely separate, like down the hall, from the dining area. This plan makes snacking a little more difficult, definitely a plus for me. I am sort of in the middle…we have a family room- kitchen combination because I am always cooking or baking and this way, after dinner or any time during the day our family can be together even if we are doing our own thing. I do still prefer to entertain company or even extended family in the living room and dining room. I think that speaks to my personality though as I like to be in control of the kitchen and also keep the mess at a distance from everyone else. Sounds like you are on your way to a beautiful new home, Phyllis, and we are all waiting for photos of the finished results!! I too woukd love to see pictures of your home when done. I had a home once that was open floor plan. After you cook & have the cooking pots & after dinner dishes stacked up you can view them from where you are sitting trying to enjoy your coffee. I try to clean as I go on the pots & pans but after dinner dishes are there. I never liked that. Now my dining room & living room are one large room but my kitchen is separate. Old school I know, but that is the way I prefer it. I can’t wait to see photos of your new home. I know it will be beautiful. I agree. I am also old school and a disciple of Nicole Curtis on television. Since I love history, I appreciate how she “restores” and not “renovates” old homes. 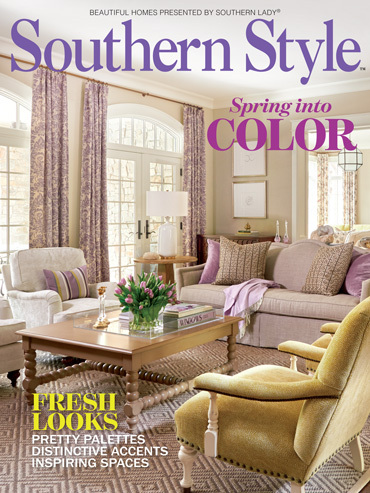 I want to subscribe to the Southern Style magazine! Do you have a link for this?Thank-you! When we renovated our house, it had no kitchen (it hadn’t even been a house). I didn’t want to be the “little woman in the kitchen” nor unable to cook because of a crowd in my way. So our place is open plan, with living room, dining room and kitchen all together. And it’s very convivial. There’s a breakfast bar where people gather, though they can do the same just as well from one of the sofas. The downside: when dishes are stacked after the various courses, they’re in full view.